The subject of World War Two aces has always generated a great amount of interest and intense debate, both Allied and Axis Aces alike. The focal point of this interest and debate has been the claims and scores reported by the pilots themselves. In most cases claims can be confirmed today against existing records, documents and log books. However, even though a kill may be confirmed, inconsistencies exist in the interpretation of the victories. In this short article, a comparative study is made to establish a standard for calculating the victories of pilots in WWII. A comprehensive list of Regia Aeronautica Aces has recently been compiled by Massimello and Apostolo, 2000. In their book, Italian Aces of World War 2, these two researchers acknowledge the difficulty of compiling such a list due mainly to lost or missing records and logbooks. In fact both authors, readily admit such a list is and will be a work in progress as new material is continually uncovered. 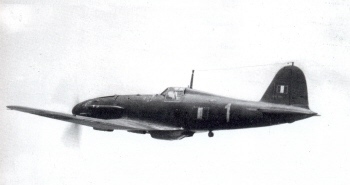 This can be seen in the case of Sottotenente Vito Rinaldi, whose logbook was recently discovered indicating that this pilot is a possible ace. 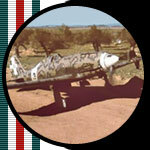 According to his logbook, Rinaldi claimed 9 kills and 9 shared victories. During his time in the Aegean, the Germans decorated Rinaldi and all the pages of his logbook are signed by his various commanding officers thus giving some credibility to his claims. Vito Rinaldi however is conspicuously missing from the existing lists of Italian Aces. The "Official List" provided by Massimello and Apostolo lists Teresio Martinoli as the highest scoring Italian ace with 21 confirmed kills. Although this score is 'accurate,' its lower than it should be. Indeed, the 21 confirmed kills of Martinoli represents only the individual claims, not the individual + shared claims. A glance through the list of Italian aces also indicates whole numbers or digits for the scores of all Italian pilots. The Allies calculated the scores of its pilots and aces differently. For example, both the RAF and the USAAF combined the individual and shared victories in the total number of victories. In the case of the USAAF, shared victories were added to a pilots final score as 1/2, 1/3, or 1/4. A fraction represented a shared victory. For instance if three pilots claimed to have shot at an aircraft which was eventually shot down, the three pilots were each awarded a 1/3 victory. It is not uncommon to see the scores of USAAF pilots with fractional results e.g., 25.83 Maj GE Preddy. 38 victories including 7 shared victories. Take note F. Lucchini is now the highest scoring ace, indeed, Lucchini was better known and more highly decorated than T. Martinoli. It is evident the picture of Italian aces changes considerably when both the individual and shared victories are considered in the total score. Even considering half or one third the number of shared victories, the total number of victories still changes significantly. Why Italian researchers insist on reporting only the individual claims of Italian WWII pilots remains a mystery.